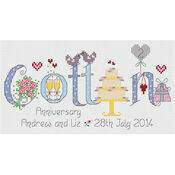 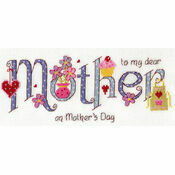 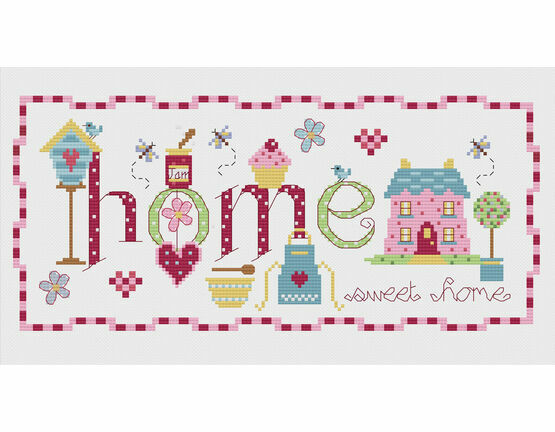 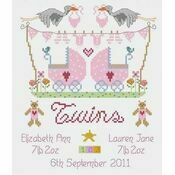 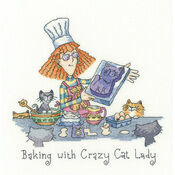 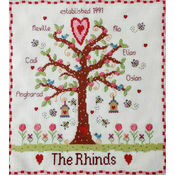 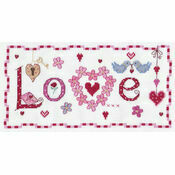 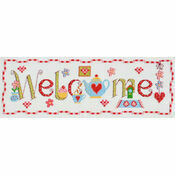 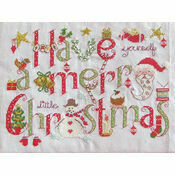 For those who associate home sweet home with baking, this gorgeous cross stitch kit from Nia is the perfect choice. 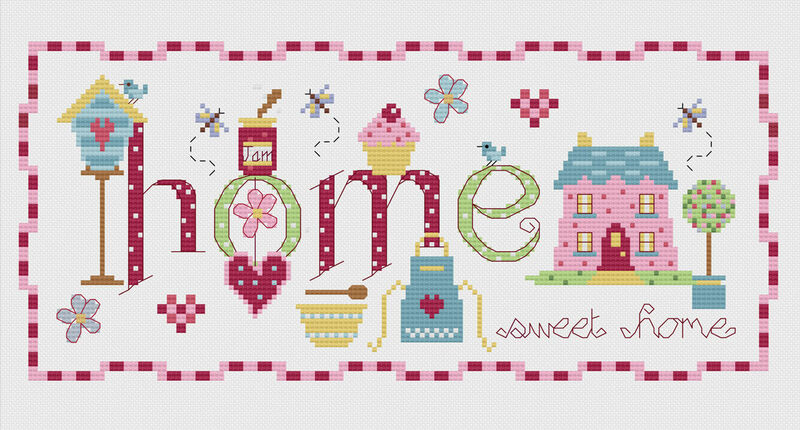 This pretty colourful design features the wording home sweet home surrounded by a pink border and lots of baking details including cupcakes, bowls, aprons and more. This finished design is such a pretty sight, and one that would look great hung up in a kitchen.